Active and life loving David Barney Miller was a passenger in a tragic car accident that left him a quadriplegic, unable to use his arms and legs ever again. As expected he enters dark time in his life, but through the love and support of his family, friends, and finding his soul mate he takes on the impossible. 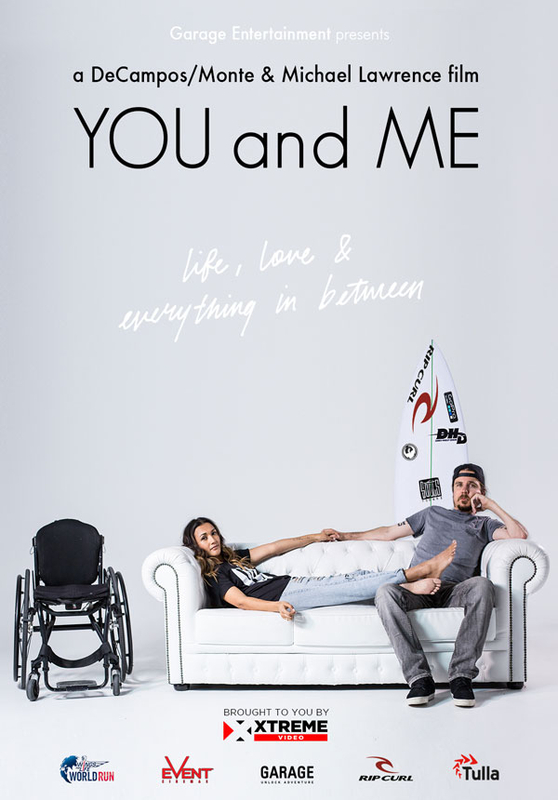 You and Me follows the extraordinary true story of Barney Miller, an active, life loving guy who became a quadriplegic 17 years ago as an emerging Pro Surfer when the car he was a passenger in, hit a tree at over 120kms an hour. Told by doctors he would never breathe independently or be able to use his right arm or legs again, Barney has defied all medical assessments through grit, self-belief, hard work and sheer guts. When Barney meets and falls in love with Kate, a girl with her own dreams of being a singer, he makes it his mission to only ask Kate to marry him when he can kneel down to propose, stand at the altar and dance at their wedding together. With the help and support of loved ones, the innovative work of Neurophysics Functional Performance trainer Ken Ware and close friends including 3X World Champion surfer Mick Fanning, Barney is back surfing, fundraising for others with spinal injury through the Barney Miller Surf Classic, and the Wings for Life World Run and is working towards his ultimate goal to walk, run and surf standing up again. 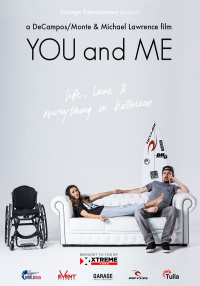 You and Me follows the incredibly powerful and emotionally uplifting journey through the struggles and obstacles Barney and Kate face in achieving their collective goals. Prepare to be inspired by their resilience, unwavering love for each other and the support network of their family and friends.